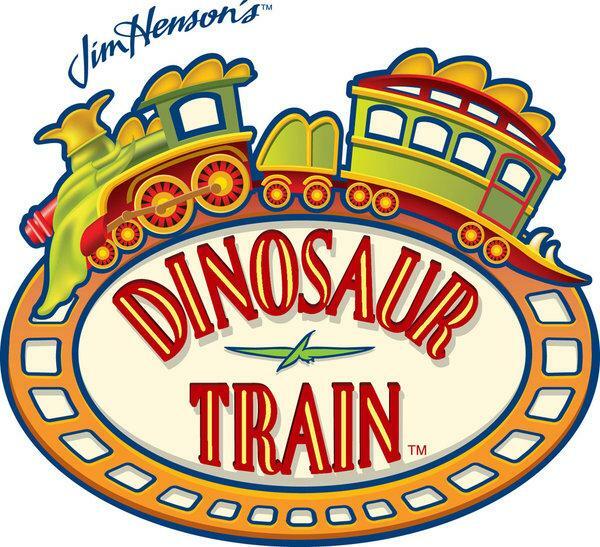 · New book from Reader’s Digest: Dinosaur TrainLift the Flap “Let’s Go To Volcano Valley” (SRP: $9.99). Ages 2+. · New Dinosaur Trainproduct for camping adventures Pacific Playtents (available in October) includes: the Dinosaur Train Station House Tent (SRP: $89.90); Dinosaur Train Dino Bones Dome Tent ($59.90); Dinosaur Train Dino Bones Tunnel ($59.90). Ages 3+. · New Dinosaur Trainsoft sporting fun from Kelly Toy: Play All Ball (SRP: $1.99), Bat + Ball (SRP: $9.99), Golf (SRP: $14.99), Football (SRP: $6.99), Baseball Mitt set (SRP: $7.99) and more. Ages 3+. 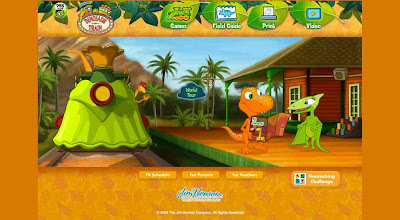 · New Dinosaur Train3-Wheel Scooter in colorful buddy and friends graphics, from VM Global. SRP$24.99. Ages 3+. Although the summer vacation comes to an end in August, fun with Dinosaur Traincontinues! Get ready for an all-new season of Dinosaur Train this August with “Dinosaur Big City” on PBS Kids premieres August 22 and the DVD release of Dinosaur Train: Dinosaur Big City on August 23 (SRP: $14.99). Get ready to board the Dinosaur Train and meet some new friends! Buddy, the adorable preschooler Tyrannosaurus Rex, and this adoptive Pteranodon family are always on the move. Today, they are going to Volcano Valley. Along the way, the train is making stops at the Triassic, Jurassic, and Cretaceous stations to make dozens of dinosaur discoveries. With more than 40 flaps tolift, kids will want to explore Buddy’s world again and again! Tell me who you would give this book to if you were to win. A special thanks to ThreeSixty PR for this great giveaway opportunity! I would give this to my son because he loves Dinosaur Train! my son Buddy is his fav dino!! Not only are we big fans of Dinosaur Train in our house, but we've also been studying about volcanoes in our house!! Next week we are taking a trip to see Mt St Helens!! This book would definately be for my girls!! They would love it!! I liked PBS on fb!! LOVE THEM!! this would be for my soon to be 3 year old grandson. he would love it! I would give it to my two-year-old son, he loves lift the flap books. I'd give this to my 5 year old nephew, thanks! I'd give it to a friend. I would give this book to my niece! 3. I am email subscribed. 4. I am email subscribed. 5. I am email subscribed. I would give this to my 5yr old grandson and he would love it! !